Spending time by the beach is no doubt one of the best ways to relax. However, the beach experience you enjoy will largely be determined by the level of comfort you enjoy while at the beach. To enjoy comfort at the beach, you do not necessarily have to buy new beach chairs; you can build your own beach chair which allows you to exercise your creativity and also save money. And in order to build a chair that will diligently serve you, you need to know the process in order to come up with a plan that you can comfortably execute. The design you adopt for your beach chair will be influenced by various factors. However, it is important that you come up with a design that you can easily work on. In addition, you might consider enlisting the help of an expert who will help you make your dream design a reality. So, what should you consider when designing your beach seat? Here is an overview of the factors to consider. The size of the beach area where you expect to use your seat will largely influence the design you adopt. The beach seat should be able to properly fit on the beach without engraving on too much space in avid to avoid consuming space for other beach users. Most beach users do not enjoy private beaches, thus the need to bring your own seat when planning to visit the beach. For this reason, it is important that you design a seat that you can easily carry when heading to the beach. The seat should not be too bulky to avoid straining when carrying it. When planning, find quality material that will ensure reliability and durability of the seat. However, be sure to also settle for materials that you can comfortably pay for. 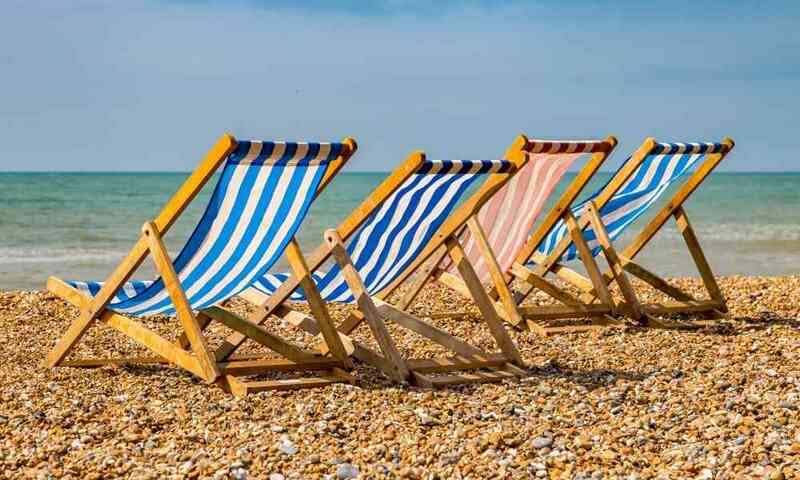 Whether you are planning to build a foldable beach seat or a normal wooden seat, it is important to understand the process of building the seat in order to enjoy a seamless exercise. So, which is the best process to adopt when building your beach seat? Here is a comprehensive overview. Once you have decided on the type of plan to adopt, it is time to assemble your building materials and take measurements, and cut them according to the pattern. Patterns can be found on the internet on various woodworking sites. Among the seat parts, you need to assemble the back legs, lower and upper crosspieces, seat legs, fabric, slats and seat crosspieces. Join the edges of the back legs to the seat crosspieces to form a flexible joint where you will place the seat. You can use glue and screwdriver to assemble the parts to make a firm joint. Now that the structure has started taking shape, it is now time to build the sitting area. At this point, you will need the seat to position the seat legs firmly on the seat crosspieces. However, it is important to be accurate at this point to ensure the folding motion is not inhibited by the issue of measurements. Once the seat legs and slats are in place, the seat should be able to fold before covering the seat area. For most carpentry projects, applying finish is usually the last step, but not in this case. Installing the fabric is usually the final step as the fabric will cover the seat. Apply two coats of finish or varnish to give your seat that fresh and glittering look. Now that you have confirmed the seat’s strength and functionality, you can now put the fabric in place. Avoid over tightening the fabric to allow for its flexibility when folding and unfolding the chair. In addition, the fabric's measurements should coincide with those of the seat to avoid any discrepancies. To find the best fabric, you can use upholstery fabric, which is sturdier and better at repelling dirt and moisture than regular fabric. There is nothing as fulfilling as enjoying the benefits of your hard work. And with your own homemade beach seat, you will always be yearning to visit the beach to enjoy a relaxing time while seated on your own work of art!